Delhi High Court seeks response of Election Commission in a Plea to de-register CPI(M). The Delhi High Court Bench consisting of Chief Justice G.Rohini and Justice Jayant Nath has the sought the response of Election Commission in a Public Interest Petition filed by an Advocate, who is also a BJP leader to de-register the Communist Party of India ( Marxist ), a National Political Party. The Court observed that, irrespective of the merits of the matter, the Election Commission is bound to pass a reasoned order while rejecting the demand of the petitioner. It has been further averred in the Writ Petition that Communist Party of India (Marxist) is formed, contrary to the principles of Constitution, Sovereignty, Integrity, Security and Democracy and the object clause of the party Constitution is against the spirit of the Constitution and it's Preamble. It was stated that the main objective of the CPI(M) is the " establishment of the state of dictatorship of the proletariat " and the same is against the Indian Constitution. The grievance of the petitioner is that the Election Commission, in a cryptic order, illegally rejected the representation made by him to cancel the registration of CPI(M). It is further averred that the principle of communism is against the provisions of the Constitution of India. In addition, the petition submits that the “revolution” that the party constitution talks about is a “declaration of war against the country”. 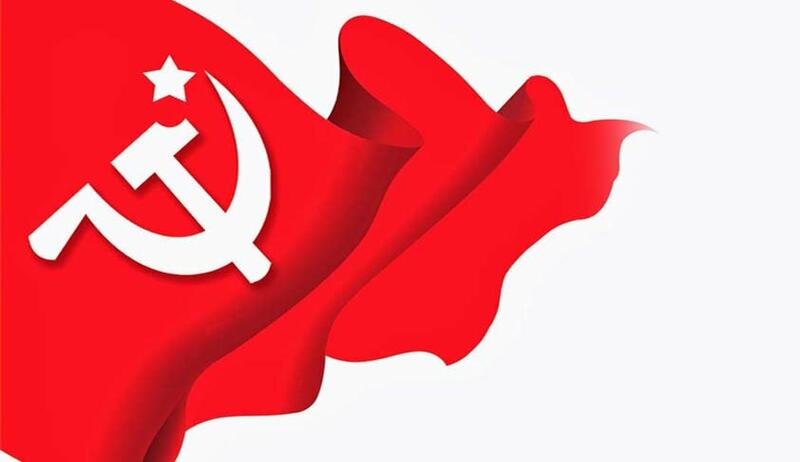 The Court has not issued a formal notice to Communist Party of India ( Marxist), instead directed the Counsel for the Election Commission to take instructions on the issue of disposal of the representation made by the petitioner.